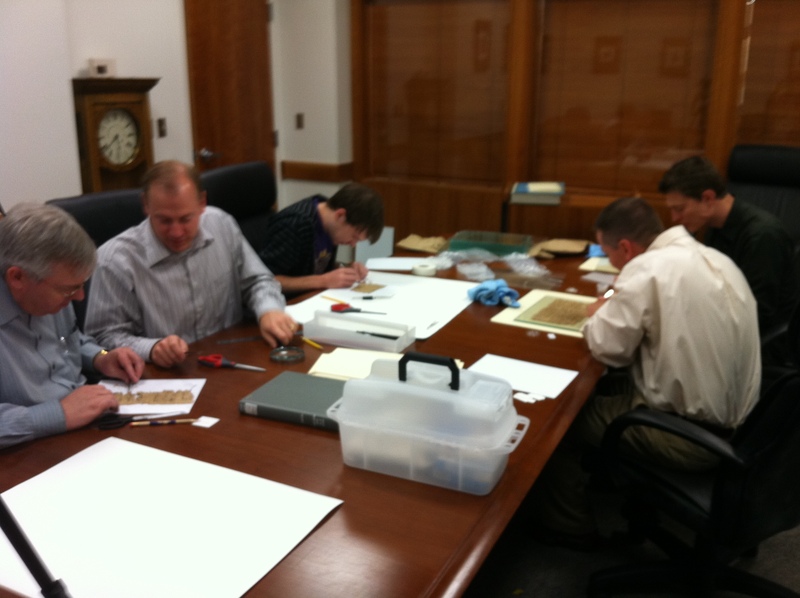 Working on the PBYU project at the Harold B. Lee library, Brigham Young University. From left to right: Erik Yingling, Thomas Wayment, Joseph Antley, Lincoln Blumell, Brian Hauglid. 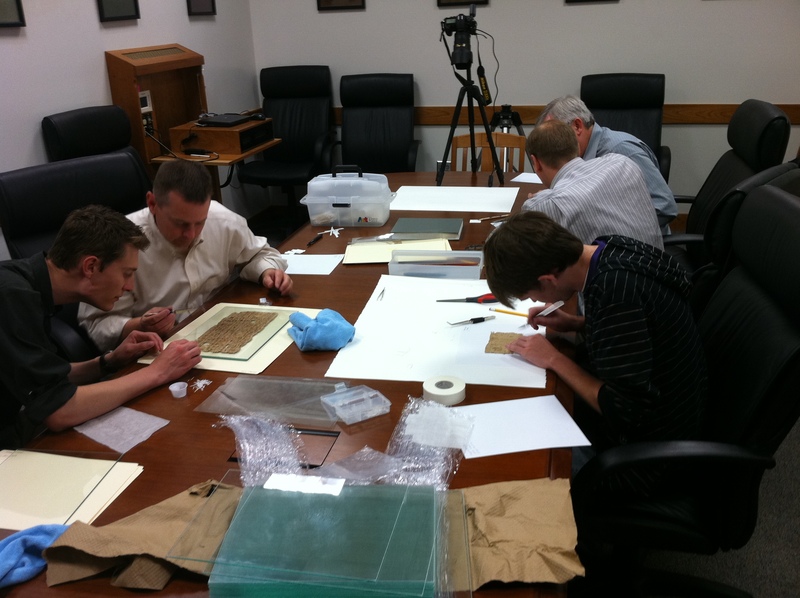 We clean, restore, and prepare the papyri to be stored permanently under protective glass. From left to right: Brian Hauglid, Lincoln Blumell, Joseph Antley, Thomas Wayment, Erik Yingling. 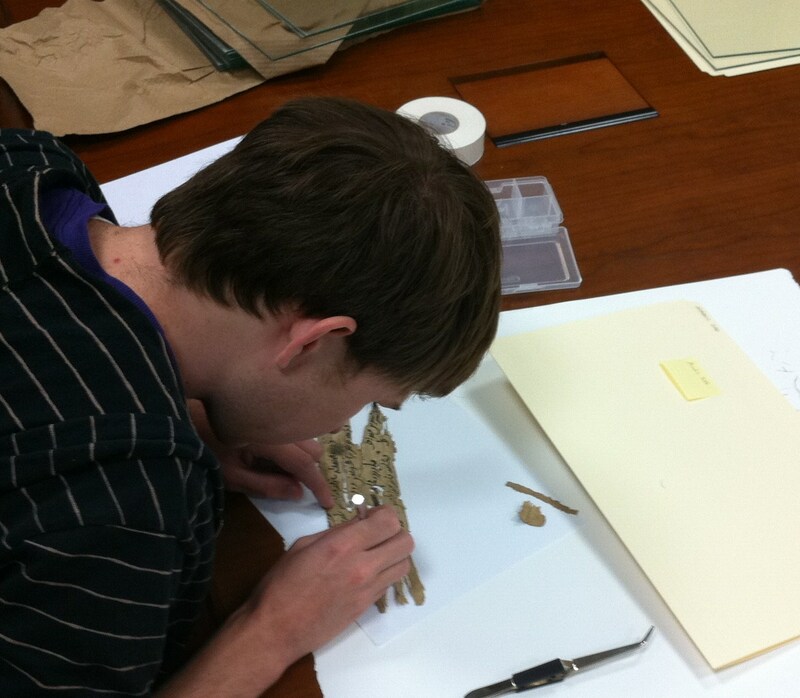 Cleaning and restoring an Arabic papyrus fragment. Dirt, sand, and other residue are removed using brushes and picks, loose papyrus threads are replaced or removed, and wrinkles and folds must be straightened without damaging the fragment. 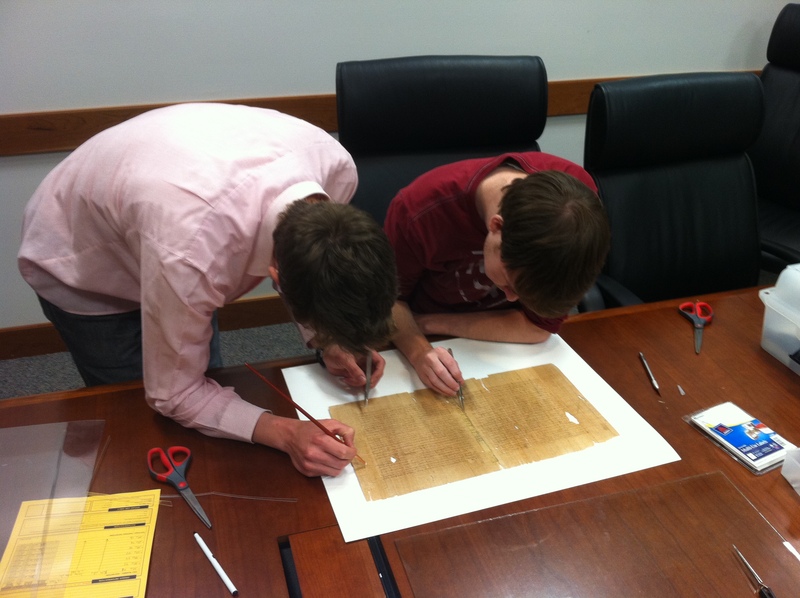 Erik Yingling and I cleaning a papyrus leaf of Didymus the Blind and preparing it to be protectively mounted under glass sheets. While cleaning the papyrus is placed on large sheets of acid-free paper. 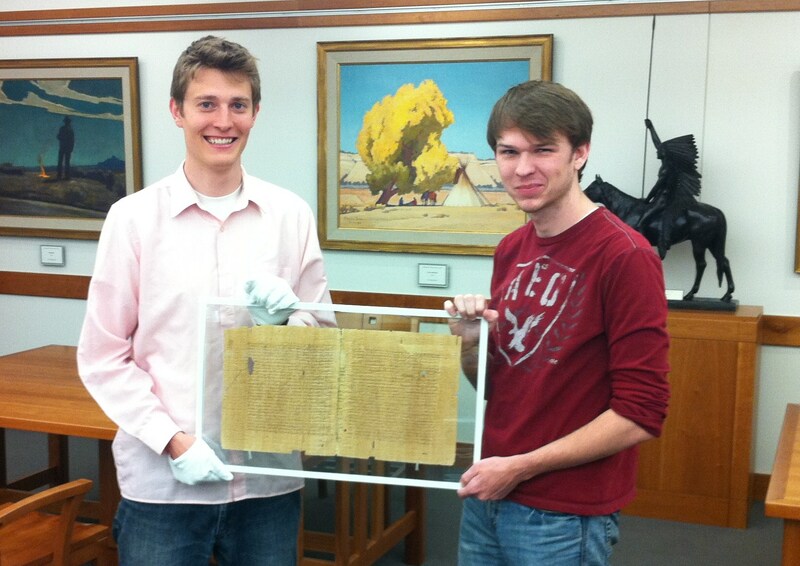 Erik Yingling and I holding the finished product of the Didymus papyrus after mounting it in glass. The papyrus is held in place with Japan paper and an organic, home-made adhesive.